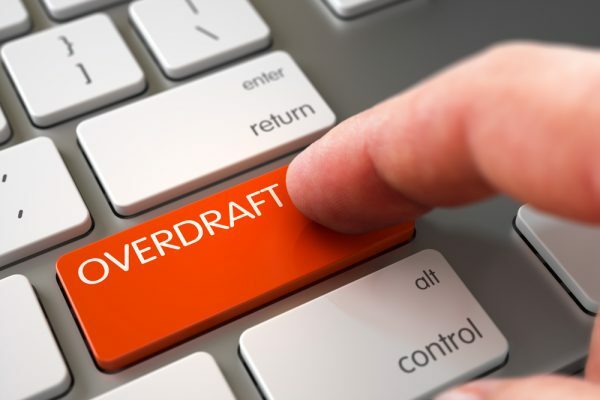 The bank overdraft refers to the payments made by the bank that exceeds the balance of the call credit of the account holder. When a company opens a checking account with a certain value, it can write checks for a value that is equal to or less than the balance in the account, which authorizes checks to be made for a value higher than the balance in the account. If you open a checking account worth $ 10,000,000, you can assume that you cannot write checks that exceed $ 10,000,000, but if the bank authorizes it, you can write checks for $ 12,000,000 (for example), if necessary. Which results in an overdraft of $ 2,000,000? It is there when we say that we have the bank account in red OR we have our FCA because instead of having money saved there we are owed so that what was in principle an asset, with the overdraft becomes a liability. And in effect, the bank overdraft is a credit quota that the bank approves the account holder, and if it is used becomes a liability and as such must be recognized. When an auditor detects in the accounts of an economic entity a liability such as the one mentioned above (that is, a liability for bank overdraft that actually originates from the reconciliation item called checks were written pending payment), it is important to begin to ask if perhaps that liability is cheaper than bank overdraft serving to disguise a possible double accounting. In effect, it is necessary to remember that in the cases of economic entities that decide to match illegality by carrying out double counting, it implies that revenues that are not officially invoiced end up being entered into the economic current of the company through the figure of liabilities. The most classic of such liabilities is the liability that is presented in the accounting of companies and is called loans received from partners because in many cases it has been detected that in fact, it was not a partner who made loans to society, but that passive is fed with sales. Thus, and as the aforementioned unrealistic liability of loans received from partners is a figure that is already very suspicious before the legal and tax authorities as a sign of a possible double accounting and a subsequent tax evasion, some entities they have found another way to continue managing their sales and they are camouflaged in the liabilities of bank overdrafts. In short, if the bank has lent us two million that was needed to pay the check, which is precisely the bank overdraft. The balance in red of an account is given when the value is withdrawn is greater than the balance it has. For example, if the balance of the bank account is 10,000.0000 and we credit 12,000,000, we will have a negative balance of 2,000,000, something that cannot be presented as such, so it should be reclassified to a liability as in effect it corresponds.